After you ship a game, it is a natural point for reflection for the development team. When you’re creating a game like Halo, which typically takes three years to produce, it is not just a reflection of the making of the game, but of the journey itself. Who were we when we started? Who are we now? What did we do right? What could we have done better? What promises did we make to the fans? What promises did we make to ourselves? 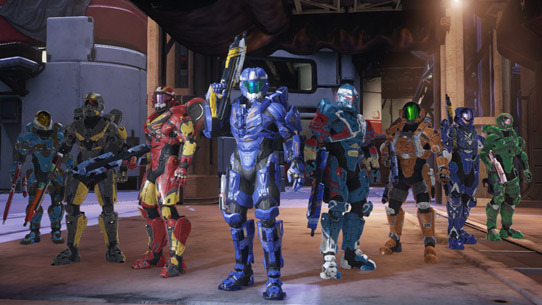 When we started Halo 5, we spent a lot of time thinking about who we wanted to be as a team as well as where we wanted to take Halo next. With Halo 4---fans were pretty vocal about what they liked and didn’t like, especially around multiplayer. Coming out of Halo 4 the 343 team was also pretty vocal with where they wanted to go with the next Halo as well. Yesterday, at our celebratory all-hands event, Josh Holmes, the head of Halo 5’s internal studio team, stood on stage with his plastic glass of champagne, and recalled a day 3 years ago when his team leads Tim Longo, David Berger, and Chris Lee stood on that same stage and laid out the creative, technical, and production vision for Halo 5. Josh noted that, give or take a few details, we delivered on all the key pillars we set out to achieve: locking framerate at 60fps, pushing the Xbox One and Microsoft’s cloud infrastructure to enable the biggest Halo campaign, the most epic multiplayer battles, and the deepest level of customization and player investment Halo has ever seen. At the same time, we heard the community feedback to bring back truly balanced Halo multiplayer with Arena and esports – all while doubling down on the player fantasy fulfillment of slipping into 900 lbs. of super soldier cybernetics, with movement speed, agility, and verticality. As 343 Industries, we set out with the challenge to create the most ambitious Halo game ever — and I’m not sure any of us realized how hard this would be. As I sat in our studio meeting yesterday, with my now empty champagne cup, listening to Josh reflect on his team and the game they’ve built; and Frank talk about his franchise team, the story they weaved, the toys, HCS esports, the community; and Kiki talk about the Halo Channel and Waypoint integration with Halo 5, our new Spartan Companies feature, and the new animated feature for The Fall of Reach; I found myself getting a little teary (note: Tim Longo sort of teared up too so it wasn’t just me). I was so proud of who this team has become and what they’ve accomplished together. So today as I sat down to gather my thoughts about this 3 year journey, I intended to write about some crazy or stressful point during production, about the beta, about Warzone, etc. But my thoughts kept going back to how I felt sitting in the theater yesterday; I was so moved by the passion and strength of our people and who this team had become over the last few years. 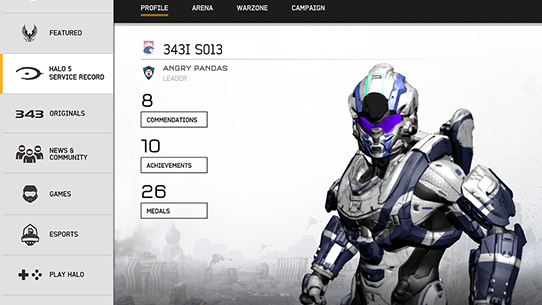 This three year journey was about creating an epic Halo 5 experience. But maybe, more importantly, it was also about 343 Industries transitioning from a startup game studio trying to build their first Halo title, to the team who will lead this universe going forward. At the end of Halo 4, we promised, to fully empower our team to create and push this franchise into unknown but innovative territory, and personally, I’m thrilled with the results. We also promised, I promised, the 343 team we would not repeat the crunch we pushed the team for Halo 4. I am pretty sure I promised the team this in an all team meeting that was filmed or a few that were filmed. I’m pretty sure that this film clip replays at most of the developer team’s desks each weekend over the last few months with various colorful edits and gestures. While overall we did do a better job than Halo 4, the quality of Halo 5 is a result of the long hours, efforts and sacrifices the team made to deliver this experience. When I started my personal Halo journey with 343 at the end of 2007, I was all about Halo—the game, the universe, the fiction, and the potential. If I have learned anything through Halo 4, Halo: The Master Chief Collection, and Halo 5, it is that at the end of the day it really is about the people. It’s about the Halo community of passionate fans, and it’s about the incredible creativity, passion, and work ethic of a game team that has gathered, at this time, and at this place, to create something bigger than the sum of its parts. Something bigger than any one of us individually. With Halo 4 we were a collection of amazingly talented individuals who came together across the game and film industries. With Halo 5 we are a team and we are 343. We are the team that will take Halo forward. Halo 5 is 343’s Halo. I hope you enjoy Halo 5: Guardians. 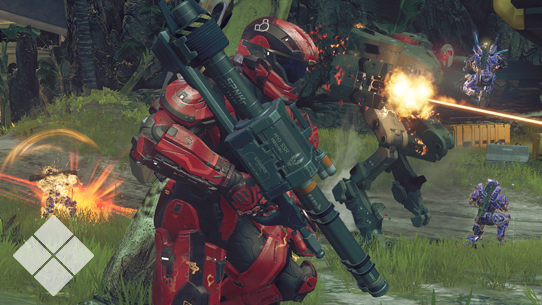 Get a head start on the competition with Halo 5: Guardians - Advanced Tactics. Join us as we showcase Spartan Abilities and customization, new starting weapons, and teach you a few pro moves along the way. Prepare to enter the Arena.